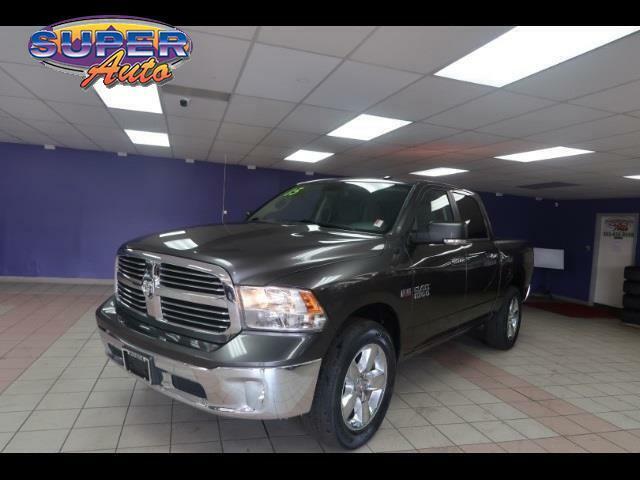 Used 2015 RAM 1500 4WD Crew Cab 140.5" Big Horn for Sale in Denver CO 80204 Super Auto Company, Inc. Features: **BLUETOOTH**, **BACKUP CAMERA**, **RUNNING BOARDS**, **CARFAX GUARANTEED**, **BED LINER**, **TOW PACKAGE**, **TINTED WINDOWS**, **4X4**, 4WD, granite crystal metallic clearcoat. Odometer is 9735 miles below market average!